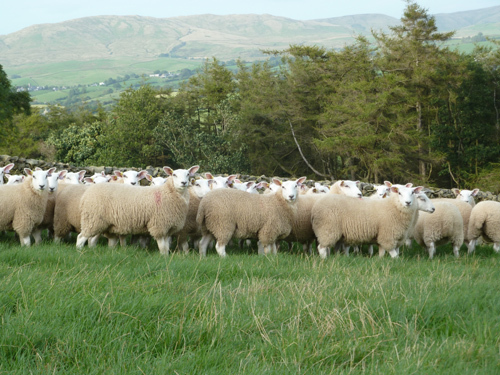 Lleyn's ewes were introduced to Cragg Farm in 1994 to replace the traditional horned ewes. It was felt that these ewes were not breeding the quality of lamb that was required for todays market. The Lleyn's seemed to offer all the attributes that is required for a breeding ewe. We have been impressed by the nature of the ewes and their quiet temperament, their hardiness, ability to milk and rear 2 good lambs. We now rear all our own replacements with any surplus been sold at Lleyn Society Sales or direct from Cragg Farm. 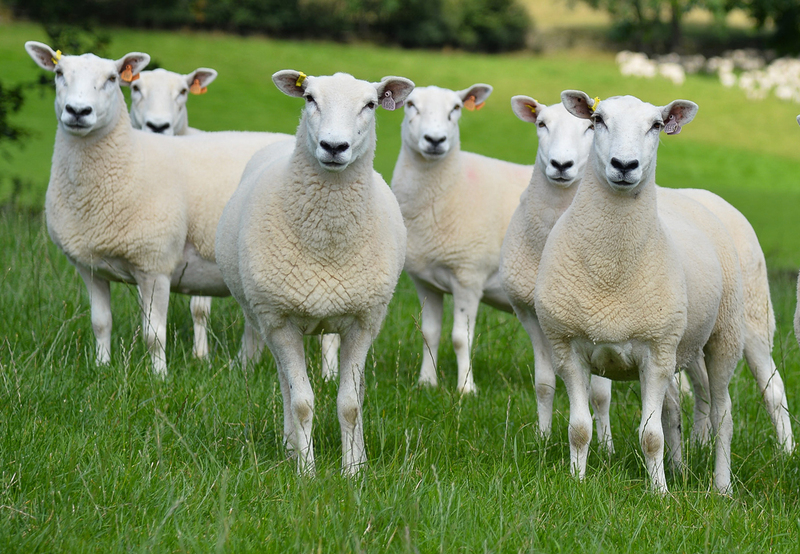 The majority of the Lleyn ewes are bred to the pure Lleyn with stock rams purchased from John Geldard, John Kingan, Brian Walling & David Alexander over the years. 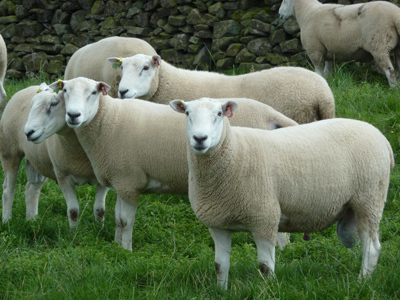 We also cross some ewes to the Texel & Blue Texel to produce quality prime lambs. Cragg Farm is situated in the village of New Hutton, 4 miles from Kendal. The family farm is run by Peter and David Knowles and extends to some 125Ha, all within the Severely Disadvantaged Area, all the land is farmed within the ELS & HLS Environment scheme. The farm carries 170 head of cattle, the Kendalcragg Pedigree Holstein dairy herd, and some beef stores and breeding heifers. 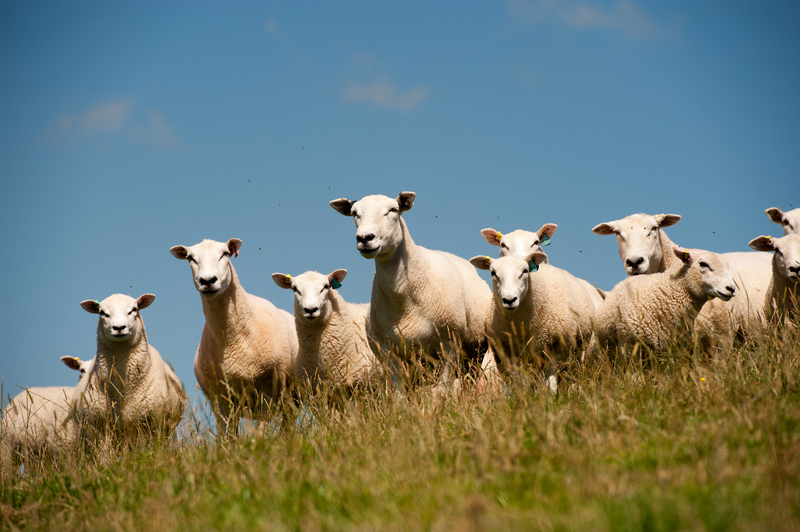 The sheep enterprise consists of 420 Lleyn sheep all being pedigree & MV Accredited. The farm is FABBL Farm Assured . The farm produces genuine breeding stock which usually go on to do well for there new owners. We have for sale a selection of Pedigree Registered Lleyn Rams and Commercial Lleyn Rams, all well grown, good skins and conformation, sensibly priced to sell. 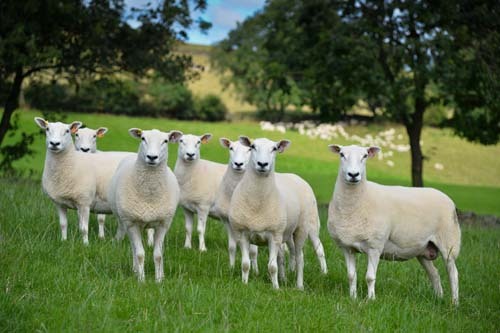 A selection of Lleyn ewe lambs available, also available Lleyn cross Texel ewe lambs, many suitable to take the tup this year. Well grown, good skins and conformation, MV Accredited.